Produces the large, sweet and juicy fruit that you would expect from a June bearer. 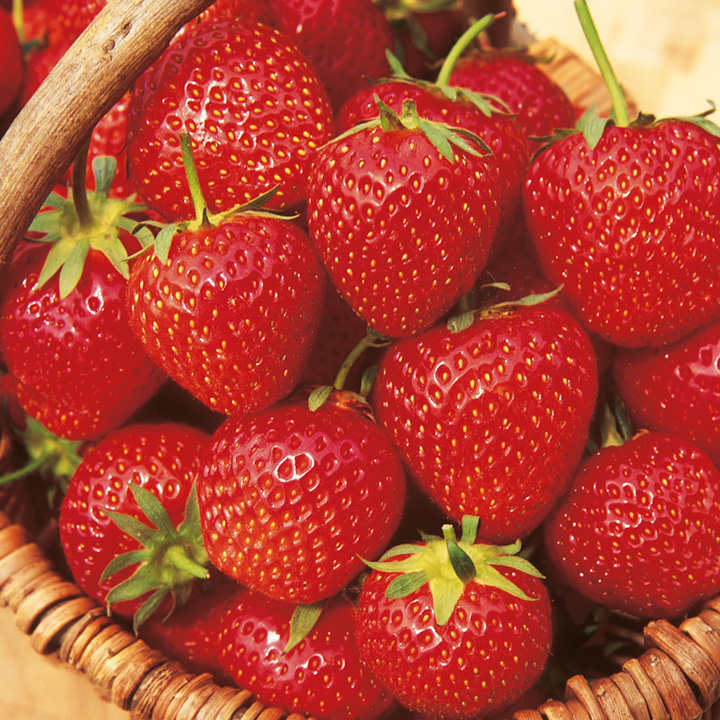 Crops steadily June-October - expect to pick around 2-3 lb per week from just 12 plants! Note: At despatch time, plants will be partially dormant and some may have very little foliage. Once planted they are ready to grow away vigorously in spring. 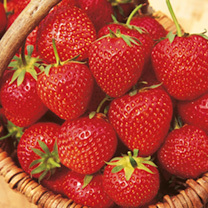 Preparation for Planting: Plant strawberries 45cm (18") apart with 75cm (2½') between each row. Choose a sunny, sheltered spot and dig in plenty of well-rotted manure or compost.